• Using various channels like display, mobile, in-app . • Analysis of the viewer’s behavior in regard to the ad campaign by the marketer. • Cookie-only based methods (though they are considered as extremely limited and often inaccurate). Identification of the device is the base layer that enables all other capabilities.The identification has to be persistent, accurate, non-invasive and anoymized. As massive amounts of data is ingested, there has to be an appropriate platform (including multiple APIs) to enable the targeted audience to view the content across various platforms. Association is the link between devices that unlocks the true potential in the viewer and hence is treated as the bread and butter of the cross-screen technology. i) Understand the total number of viewers across TV & other online platforms. ii) Consolidate the value engaged across platforms. iii) Sell customized media packages to target audience covering all platforms. • Targeting by genre of TV viewership. • Targeting by customers (cartons for grownups, golf enthusiasts). • Targeting by network & custom segments. The future trends in cross screen measurement can expect to see the beginning of the next of programmatic evolution.Adoption, as well as programmatic, will also increase and reach a new level of sophistication. Consumers will be delighted to have the online experience with content across a number of devices simultaneously.Automated cross-screen campaigns have already become the norm. Ads need to work across a variety of screens. As measurement (of customer behavior) is yet to equal the progress of programmatic ad delivery, the advertiser is finding it difficult to gauge the performance of their cross-screen efforts. New technologies are being worked out to better track users across devices.One of the examples of new technologies is Video Metrix Multi-Platform (by comScore) that will measure video impact across multiple devices like desktop, mobile, OTT & tablet etc. 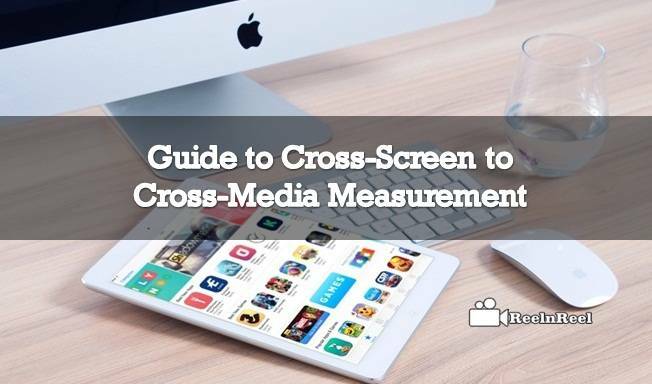 The cross screen ad measurement is expected to become more advanced to offer the marketer with relevant information with greater transparency and will enable brands to deliver the intended audience with targeted and engaging ads. In view of the fact that the average consumer is the owner of minimum 3 devices, (desktop, mobile, and laptop) cross-screen advertising is becoming the order of the day in content promotion.Cross-screen and cross-media are the multiple options that the marketer can use to promote his products/services online.The marketer is required to assess the latest trends and ensure that his ad campaign is successful.